OTTAWA, Aug. 11, 2018 /CNW/ - Ottawa kids as young as 10 years old are learning to drive this weekend as kartSTART Presented by Toyota visits the city for the first time-ever. Led by semi-retired professional race car driver, Russ Bond, and sponsored by Toyota Canada, the program travels across the country each summer, helping kids establish an early foundation for safe and responsible driving using a car just their size – a go-kart! Kids are taught the physics and dynamics of driving a motorized vehicle by expert instructors, - both in a classroom and on the road in a closed course environment. On the road, kids learn how different components such as the throttle, brakes and steering work – and, more importantly, how they function together. "What's great about the kartSTART program is kids are not only given the opportunity to experience being behind the wheel of a motorized vehicle (many for the first time), but they're becoming familiar with the mechanics of driving well before they can get a license," said Cyril Dimitris, Vice President of Sales and Marketing, Toyota Canada Inc. "kartSTART is helping create better, safer future Canadian drivers." New to this year's program is a professionally-designed go-kart made accessible for kids with physical disabilities so that they can drive, too! 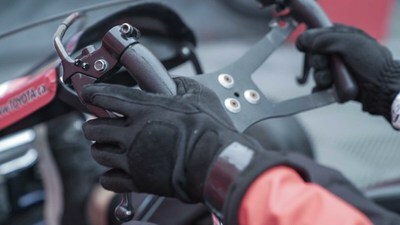 The accessible go-kart looks the same as the other karts, but with hand-controlled throttle and braking incorporated into the design of the steering wheel. As a mobility company, Toyota is committed to supporting the creation of a more inclusive society where every individual has the freedom to move. Jonak Motorsport, one of Canada's leading racing fabrication and restoration companies, was tasked with designing, building and testing kartSTART's accessible go-kart. The company specializes in high-end projects, from restoring vintage Formula 1 cars, to building safe, racing quality go-karts. 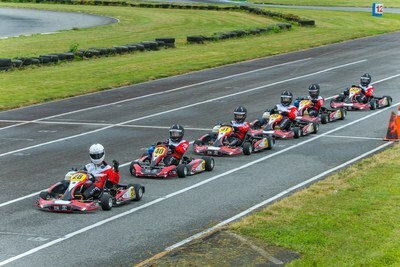 Jonak Motorsport has been a partner of kartSTART for eight years and has been instrumental in developing a specialized fleet of karts for the program. "I'm thrilled about this year's addition to the 2018 kartSTART program," said Russ Bond, founder of kartSTART Presented by Toyota. "With the new accessible go-kart, we now have the ability to create a more inclusive environment, where mobility is no longer a barrier for children with physical disabilities affecting the lower limbs." kartSTART will be at the Ernst and Young Centre in Ottawa until August 13th. The city is one of 10 stops on kartSTART's national tour. Toyota Canada Inc. (TCI) is the exclusive Canadian distributor of Toyota and Lexus vehicles. Toyota has sold over 5 million vehicles in Canada through a national network of 287 Toyota and Lexus dealerships. Toyota is dedicated to bringing safety, quality, dependability and reliability in the vehicles Canadians drive and the service they receive. TCI's head office is located in Toronto, with regional offices in Vancouver, Calgary, Montreal and Halifax and parts distribution centres in Toronto and Vancouver. Toyota operates two manufacturing facilities in Canada. Having produced more than eight million vehicles, popular Canadian models built at these facilities include Toyota RAV4, Toyota Corolla, Lexus RX 350 and RX 450h hybrid.